Our British Values launch week was a success! The children took part in various activities to learn more about democracy, liberty, mutual respect, tolerance of others and the rule of law. 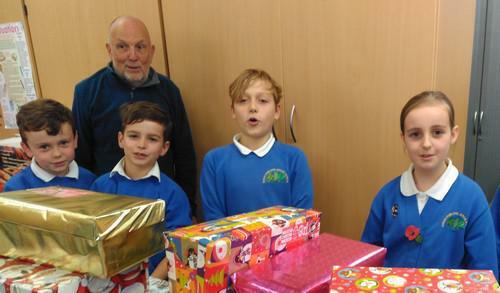 Thanks goes to John from the Samaritans Shoebox Appeal for picking up some of the donated boxes. Keep them coming! It was great to have our CSPOs speak to us about what they do, keeping safe and keeping the law, and how to make the most of fireworks night! This week, our theme is one of the British values- “Mutual Respect”. Please do join us on Wednesday for our Remembrance Assembly at 1:10pm for 20 minutes. We look forward to diploma on Monday Morning. Have a great week!